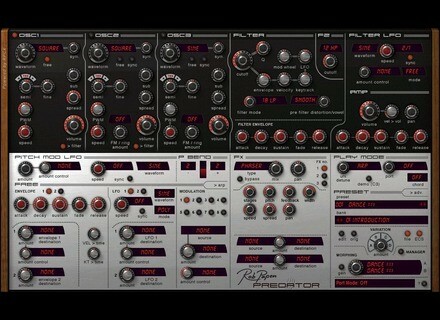 Predator, Virtual hybrid synth from Rob Papen. Product replaced by the Rob Papen Predator 2. 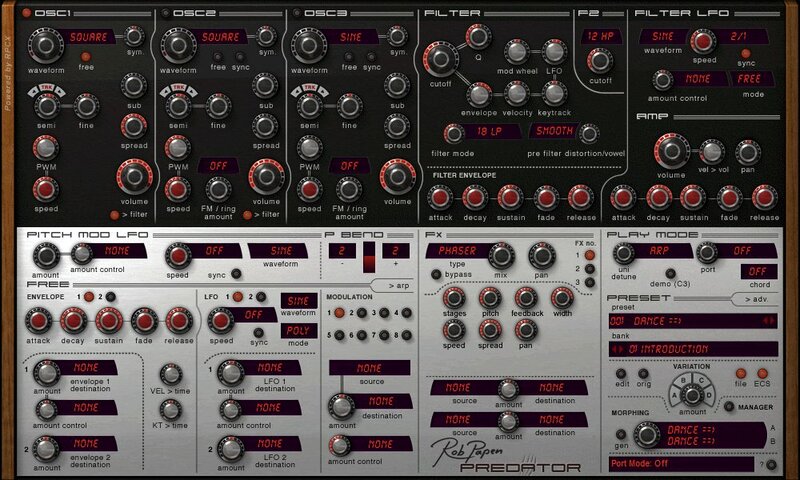 Rob Papen has updated the Windows version of Predator to v1.5.8. Preset banks update (bugs). Banks of subject "05 Trance and PsyTrance 03" , "08 Ambient 02" and "04 HipHop DirtySouth 02", "04 HipHop RnB01". Banks "04 HipHop DirtySouth 02" and "08 Ambient 02" hold a few new presets. Iliadis Updates Efthimia Iliadis has updated Efthimia Electronic Organ to v1.4.